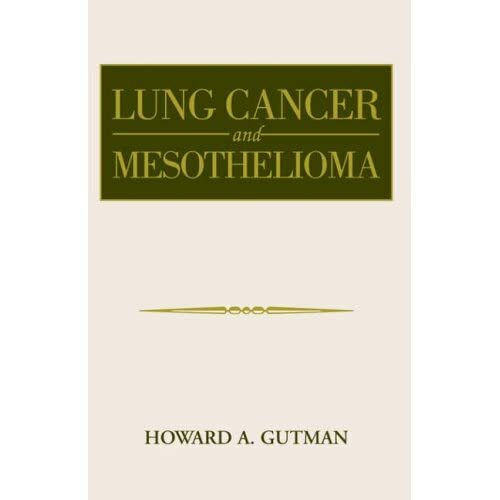 This book provides a wealth of useful information on various types of lung cancers, medical trials, treatments and medications. 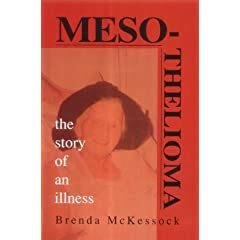 Lung cancer and Mesothelioma is a comprehensive reference for lung cancer. 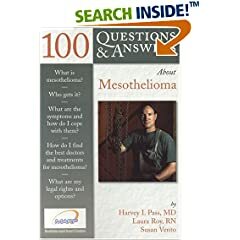 Comprising 41 chapters and 480 pages, the book reviews chemotherapy, radiation, surgery, and gene therapy and many other topics. Learn how the new gene therapies work, what chemotherapy is designed to do, how lung tumors are categorized and why they metastasize. Each form of therapy and each stage of disease has its own chapter for easy reference. 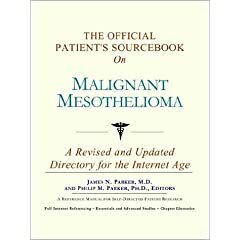 Thus you can review material on radiation treatments, or stage 1 non-small cell lung cancer in a single chapter. The book is designed to help you understand a difficult subject and interact with your doctor to make meaningful choices. It examines traditional therapies as well as new drugs like Tarceva and investigational therapies, and provides numerous references and directions for further research. Utilizing his experience as a caregiver, the author discusses the stresses and practical realities of dealing with lung cancer. There are chapters on chemotherapy side effects, insurance questions, and the pressures of care giving. Where are support groups located, what help can you provide when someone is hospitalized, and how do you talk about a serious illness are among the questions the book tries to answer.